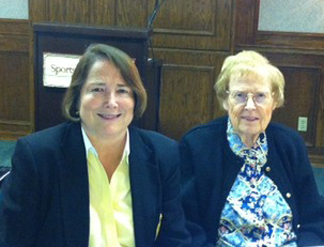 We have been fortunate enough to have some excellent speakers at our club events over the years. Since 2011 we have enjoyed six outstanding programs researched and written by Madeline Bayless, and presented at our Los Angeles meetings by Linda Tolman. We have nicknamed them our “Master Classes” and you can watch them here. They are lengthy so put aside a chunk of time to enjoy them! Many thanks to Madeline and Linda for their hard work in putting these presentations together. The texts of these programs reflects the research, thoughts and opinions of Madeline Bayless. She has also had access to extensive source material including letters that were quoted from in the book Sweethearts. But you should also know that at the Los Angeles event on June 23, 2013, Madeline decided to “go public” about her personal connection to the Jeanette/Nelson story. Previous to this, she had requested that her own information remain anonymous. Her father, James Bayless, worked at MGM from its inception in 1925 and when sound films came in, he was promoted to the sound department. According to Madeline, he “was actively developing the technological improvements in the recording of not only sound on film but also disc recording. 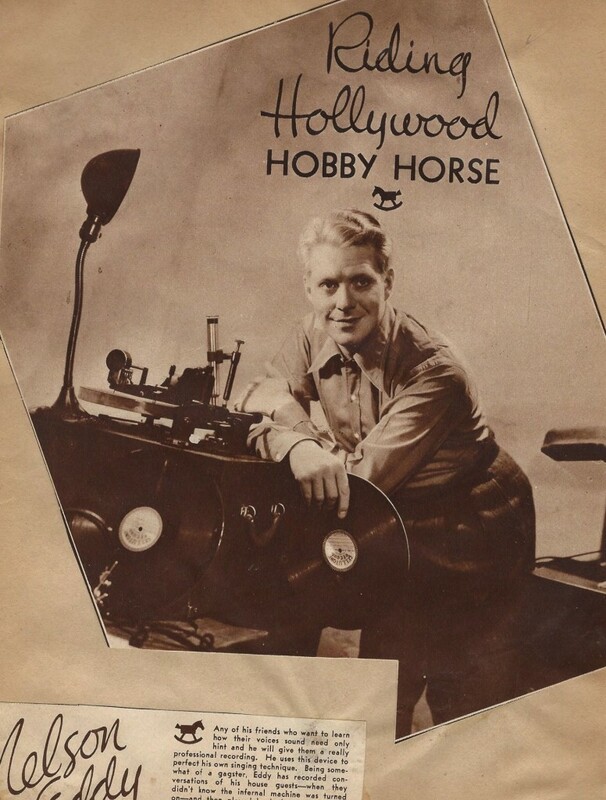 For the disc recording Dad had built a dual turntable recording system for his use at home.” When Nelson Eddy came to MGM in 1933 he heard about this high-tech recording equipment and Nelson eventually asked Madeline’s father to build him a home recording setup. Over the coming years, Madeline had occasion to see Nelson Eddy when he came to see her father on business matters. That is how Madeline came to verify certain pieces of information such as the relationship itself (which was discussed at the dinner table by her parents in the early days) and the existence and location of the Nelson-Jeanette hideaway home we know as “Mists”. Madeline on occasion accompanied her father to Mists. Her brother (James Jr.) was in Nelson’s home helping install Nelson’s recording equipment when he witnessed Nelson and Jeanette together and heard conversations that left no doubt as to their intimate relationship. James Bayless Sr. left MGM shortly before Nelson and Jeanette did; he was one of the executives who started Capitol Records in 1942. At the Mac/Eddy luncheon mentioned above, Madeline stunned the audience by revealing that she owns the 14k gold charm bracelet given to Jeanette MacDonald by Nelson Eddy for her birthday in 1938. One can see the bracelet on Jeanette’s wrist in a candid photo taken on her birthday and also in a couple scenes of the movie Sweethearts. Each charm had a personal meaning for them which is discussed in the presentation. At the end of the presentation, there were more gasps when everyone got to take a close look at the actual charm bracelet. 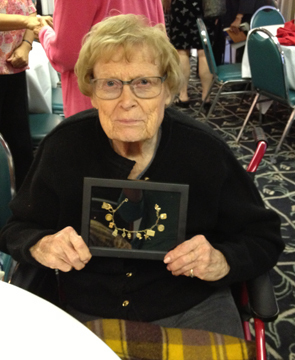 Pictured here is Madeline Bayless holding Jeanette’s charm bracelet which is now housed in a protective case. It should also be noted that Linda Tolman owns the earlier silver charm bracelet that Nelson presented to Jeanette at the beginning of their relationship. If you have read the book Sweethearts you will remember the clock charm that Nelson had made up to remind Jeanette of how she walked into his concert late. That one is on the silver charm bracelet. We have posted up a separate page to discuss and provide photographs of the charm bracelets that Nelson gave to Jeanette. In the meantime, here are the four Master Class videos brought to you by Madeline Bayless and Linda Tolman. The second video, from June 24, 2012, is 1 hour, 28 minutes long. It showcases the events surrounding Jeanette being featured on a brand new Fall 1952 “reality TV” series, “This is Your Life.” By late 1952 when this show aired, Jeanette and Nelson were estranged, both personally and professionally. Jeanette’s reactions during the half-hour show were telling, first her nervousness that “he” might actually be there, her looking around trying to acting nonchalant, relaxing when someone else came onstage – not “him,” then sitting tensely once again in anticipation and finally crying when Nelson made his appearance and held her hand through the rest of the show. How the show came about and its poignant aftermath was written by Madeline Bayless. The talk was delivered by Linda Tolman. After the show Nelson’s appearance is shown again, silent, in slow motion and then with still photos. Anyone who believes these two didn’t love each other off-screen should study the footage and the expressions that flit across Jeanette’s face as she tries both to hide her girlish adoration of him, and to regain her composure. The third program covers the funeral of Jeanette MacDonald and the behind-the-scenes details behind her death as well as Nelson Eddy’s participation in the funeral. When Jeanette MacDonald died on January 14, 1965, her death made front page headlines in newspapers worldwide. Thousands of loyal fans attended her funeral four days later at Forest Lawn Glendale. Despite her supposedly loving last words to her husband Gene Raymond, many fan were curious to note that her grief-stricken co-star Nelson Eddy sat privately with the family and in particular with Jeanette’s older sister and confidant Blossom Rock. (Note: in the funeral service and on Jeanette’s crypt her birthdate was incorrectly noted as 1907 rather than 1903.) Only a handful of people were aware of the personal touches Nelson Eddy made to the proceedings. This video is about 53 minutes long. The fourth video is from June 23, 2013 and covers in great detail the back story of Jeanette MacDonald’s 14k charm bracelet given to her by Nelson Eddy. This video is about an hour and 12 minutes long. Again, you can see photographs of the gold charm bracelet and Jeanette’s other charm bracelets at this link. The fifth video is from our December 8, 2013 event: This 43-minute presentation covers the Nelson-Jeanette hideaway house that we know as “Mists” on Angelo Drive in Beverly Hills. For the first time, we see a photo of the grounds as it looked when Nelson and Jeanette were there, with the “lake” added that so reminded Jeanette of Tahoe. Madeline Bayless accompanied her father to “Mists” several times during the 1940s. James Bayless would hand-deliver the large-size records recorded each week from Nelson’s live radio shows, so Nelson could listen to the playback and critique himself on the shows. 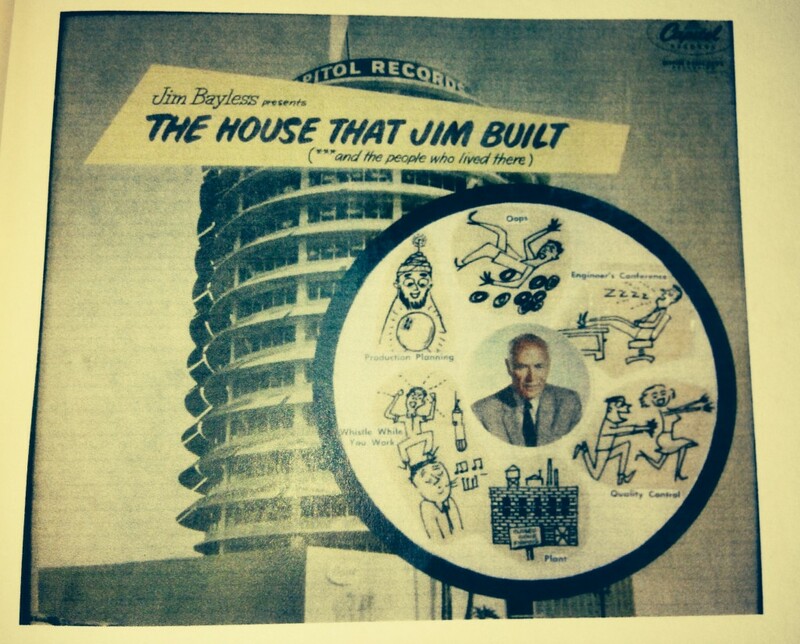 Below is a photo of the tribute album given to Jim Bayless, Sr. when he retired from Capitol Records. And finally, Nelson with his home recording setup built by Madeline’s father. We all want to thank Madeline for going on record and sharing her memories with the group.